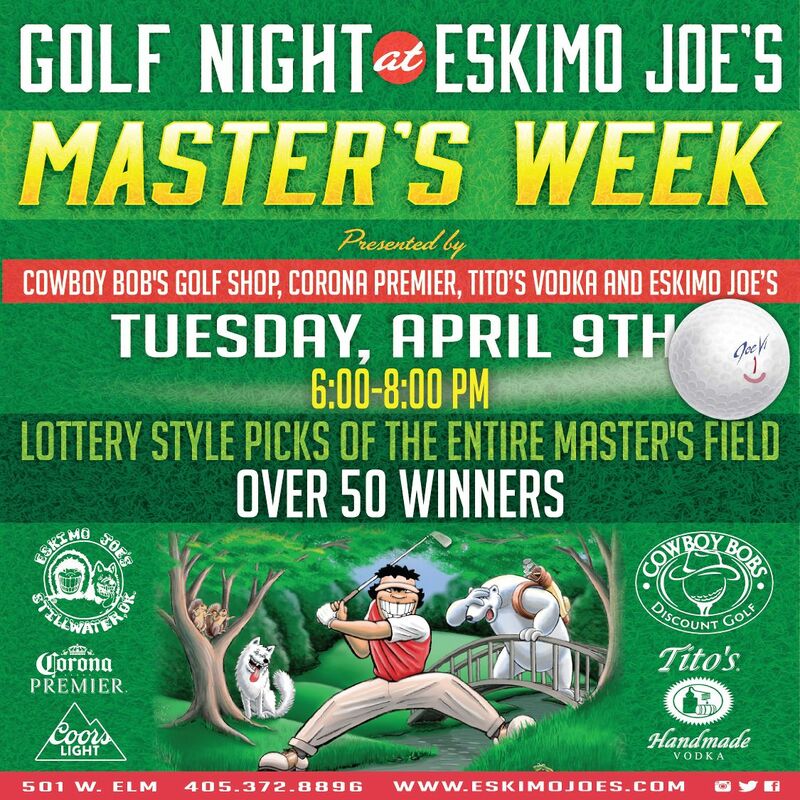 Come join us for a night of golfin’ good times! We’ll be doing a random drawing to pair participants with a golfer from the Master’s field. If your golfer wins the tournament, you win too! Prizes for 1st, 2nd and 3rd places as well as door prizes to be given away at the event. Enjoy a $5 Tito’s Club Special or a cold Coors light with your cheese fries!